For as long as I can remember, gardeners have focused on nitrogen as the key element for a healthy garden. Followed by phosphorous and potassium (potash), most organic gardening books place a great deal of emphasis on nitrogen sources and compost to feed plants. One of the most important jobs our homestead critters have is to provide manure for compost. This has been my mindset ever since my very first garden. I can't tell you how surprised I was, then, to watch a number of videos by rancher Gabe Brown. In video after video the emphasis wasn't on nitrogen to feed the plants, but on carbon to feed the soil. Or more specifically, to feed the soil microorganisms. His message was loud and clear: Feed the organisms and the rest will fall into place. The results were irrefutable. Gabe farms thousands of acres in arid North Dakota without any soil amendments. Yet he has rich moist soils, consistently lush growth, and excellent soil test results. His secret? Carbon. How could I not have known this? I had to go through my organic gardening books to look up carbon. While whole sections are devoted to nitrogen, about the only thing they say about carbon is a blurb about photosynthesis: plants take in carbon dioxide from the air and give off oxygen with sugar as a by-product. Glucose (C6H12O6), we're told, feeds the plant and accounts for the sweetness in the fruits and vegetables they produce. Excess glucose is stored in the roots, and that's where most explanations end. I'm not arguing that, but there's more. Plant roots don't just store it, but secrete it as liquid carbon to feed soil fungi, specifically mycorrhizal fungi. Mychrrhizae are truly amazing. They form symbiotic relationships with plants and exchange that liquid carbon for other nutrients the plant needs. They do this by extending the root system of the plant so that these nutrients can be harvested from other areas and transported to the plant. More amazing, the fungi can network with one another to extend their resource harvesting in areas covering acres and miles. Soil bacteria are the other key player. Most of us have heard of nitrogen-fixing bacteria (rhizobia) that form nodules on the roots of legumes to convert atmospheric nitrogen into a form that plants can use. Other bacteria (actinomycetes) are decomposers. They are soil builders, turning carbonaceous mulch into organic matter. Both kinds of bacteria feed on - carbon, either from the plant or from organic matter in or on the soil (i.e. mulch). Why had I never made the carbon connection? !!! Combined with water, soil carbon forms carbonic acid (H2CO3) which extracts rock minerals from the soil. This is the same principle as used in making bone broth. An acid such as vinegar is added to the stock pot to slowly dissolve the minerals from the bones. Carbonic acid is nature's way of mineralizing soil. !!! Carbon stabilizes soil nitrogen. Nitrogen is volatile and if not utilized will escape into the atmosphere. Carbon is able to tie nitrogen to the soil, so to speak, keeping it stable until soil microbes need it. The magic ratio is 25 to 30 parts carbon to 1 part nitrogen. That should sound familiar to anyone who takes their composting seriously. So how does Gabe Brown get all that carbon into his thousands of acres? Is it possible to mulch that much ground? Nope, he doesn't use mulch, he uses no-till cover cropping. 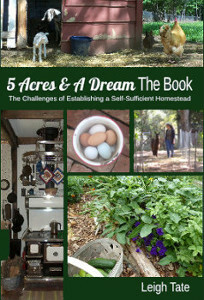 Most of us are familiar with no-till in the context of raised bed vegetable gardening, but over acreage? That's a different challenge. Here's one by someone Gabe refers to frequently, agronomist Ray Archuleta. 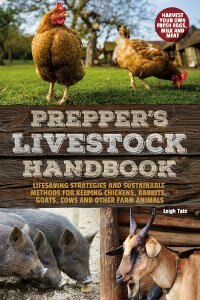 I also highly recommend Salad Bar Beef by Joel Salatin. It helped me put together several pieces of the carbon puzzle. Next: "Carbon and Soil Building: Designing a Plan"
Welcome to soil science! There is so much being learned and discovered right now that it amazes me too. While Gabe is saying feed the micro organisms, my grandmother taught me gardening by telling me to feed the worms. Do that and everything falls into place. Thus I'm a big, big promoter of using mulches, adding compost, using liquid nutrients (primarily urine and liquified manures on my own farm). I was taught to keep soil surfaces covered, keep soil moist but not wet, add mulch and compost to "feed the worms". The system works. Soil fungi is an important component to this system. Once I started gathering local mushrooms and adding the slurry to my compost and mulch, my soil improved significantly. Of course, I'm working with poor soil where I live so the improvement was easy to see. So the practices of the Japanese gentleman(can't remember his name off hand) are being proved out by Gabe Brown on a large scale. Su Ba, amazing, isn't it? I didn't realize you had poor soils in Hawaii! Here in the SW the soils are plumb worn out. Yours and my soils are still probably vastly different, yet the same techniques work. Seeing someone like Gabe work with thousands of acres rather than a garden plot was inspiring. Gives me hope for our grain and production crop growing areas. Judy, Masanobu Fukuoka, yes! Science is finally figuring out why he was right. The contrast in scale between Mr. Fukuoka and Mr. Brown is truly amazing. Dan and I have recently been re-reading The One Straw Revolution with new eyes, because he farmed quarter-acre plots like we have. We're seeing ways we can expand his techniques on our own homestead. This is so great! I’ve never heard of this - like you, I’ve heard (and practice) the manure / compost mentality... making sure there is enough nutrients for the plants. This carbon idea to take care of the soil is so exciting and makes so much sense! It kind of reminds me of how we’re just learning about our own body’s microbiome and how important THAT is. Ancient farmers in South America knew carbon well and the artificial soil they developed is well documented, still exists & is still being studied. Terra Preta soil. I tried developing a patch here many years ago, but other things then took my attention. Yes, carbon is key. Great post. Meredith, it makes a whole lot of sense. It was interesting that in my 1959 copy of Rodale's Organic Gardening Encyclopedia, the entry on carbon mentions a study in 1924 which concluded that soil carbon was more significant for plants than atmospheric carbon. It hasn't been until more recently, however, that they seem to have figured out why. Even so, the science still isn't making a significant impact in terms of production farming methods. (Which is why Gabe Brown speaks at conferences and workshops). Kris, ancient farmers were considerably smarter than we are! Interesting link. I can see why biochar is so popular, although I have to say that the regenerative and natural farming methods of Gabe Brown and Masanobu Fukuoka are considerably easier to implement. I learned about carbon and gardens from another blogger about five or six years ago. Unfortunately their blog is now defunct but he would burn his wood scraps and make charcoal that he then spread on his garden. He even went so far as to do half with and half without for a couple years to compare the differences. I remember them being noticeable. Hmmm....this must be why my grandma used to bury burned logs under her plants! I always wondered but never did it! I've heard Joel Salatin speak and he's amazing. His talk was limited to an hour but the whole room full of people would have gladly listened for another hour. So enthusiastic about what he believes and is willing to share his knowledge freely. His farm is pretty much open to the public if anyone wants to visit and see things in operation. Don't have the time to put in the research right now, so let me ask a quick question. Would putting our woodstove ash on the garden be beneficial? I always wondered, but without knowing was reluctant to do it. Ed, a number of years ago we rented a place with a large yard. The owner burned a pile of branches in the backyard right before we moved in. When we put a garden in the backyard, that particular spot always had the darkest soil and grew the best plants. Something to be said for charcoal! Jan, sounds like your grandma knew her stuff! Sue, I'd love to hear him in person. I've learned a lot from his books and also his videos. He's very encouraging in everything he talks about. Michelle, yes! We add our woodstove ashes to either the compost or sprinkle them directly onto the soil. They are a good source of potash and help "sweeten" acidic soils. The Japanese Gentleman referred to is, I believe, Masanobu Fukuoka, author of The One Straw Revolution. Definitely worth the read. You are right. Carbon is never emphasized. Not really sure why - maybe because as the easiest element to get there is no money in it? TB, I have a reprint of the 1940 (2nd) edition of M.G. Kains Five Acres and Independence. Even back then there is no mention of carbon. He states that depleted soils will need commercial fertilizer, particularly nitrogen, then potash, then phosphorous. So these concepts have been part of farming for a long time. Amazing, isn't it? Hi Leigh :) That is VERY interesting. I've head about nitrogen and phosphorus too, but not carbon! I've been doing lots of reading about different gardening methods...from Back to Eden to containers to raised beds to no till gardening...there is just so much out there. But when someone is that successful, we need to pay attention! Thanks for the information and the links, I'm curious about this! Hi Rain, this is definitely a fascinating subject. It's exciting for me, because I've done so many things "right" in my gardens and yet been discouraged sometimes by yields and results. There's a lot to be said for experimentation, but anything as universal as this has got to put us all on a better track! I have become more interested in soil health in the past couple of years and I came across a bunch of great videos on youtube by Ray Archuleta. He has lots of great ideas about soil health and he seems to be a very articulate teacher. If you can find the time, I highly recommend checking him out. Kendra, I agree about Ray. I found him through Gabe. I think one of those video links is to him!